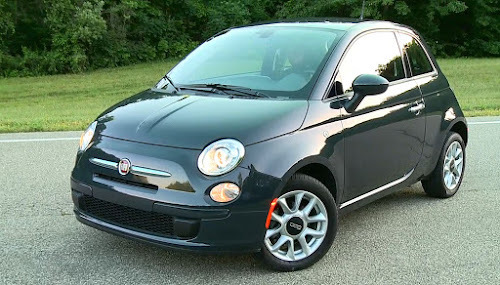 Here's a group of detailed pictures shot of the Fiat 500 brought to America by Fiat for evaluation at Chrysler. I have a bunch of these photos that I'll start to post as we wait for the Fiat 500 to hit our shores. 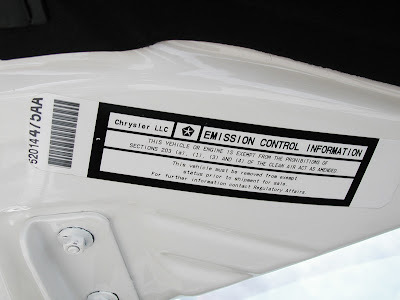 Here's a shot of the EPA's exemption sticker attached to the Fiat 500 brought to the US for evaluation testing. This car was used by Chrysler/Fiat for promotional and testing purposes. Importing a car from another country is not a simple thing, even for a major car company. A myriad of forms and documents must be filed with the DOT and EPA. The many rules and regulations are very strictly enforced. Here are some underhood shots of the Fiat 500. The yellow cap is for the brake fluid, which is specified as DOT 4 high performance brake fluid. Just to the right of the battery is the engine control fuse box. These contain fuses and relays for the mechanical items under the hood. 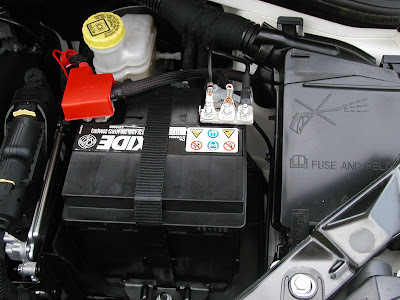 There is a separate fuse box inside, under the drivers side of the dashboard, that contains the fuses for the interior and convenience features of the car. 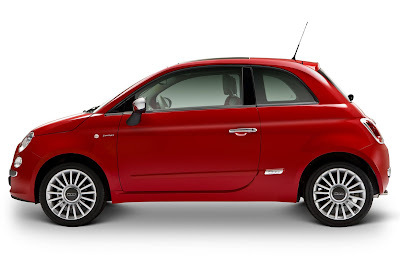 All the maintenance points under the hood of the Fiat 500 are easy to get to. The blue item in the above picture is the engine oil dipstick (next to the yellow oil cap). 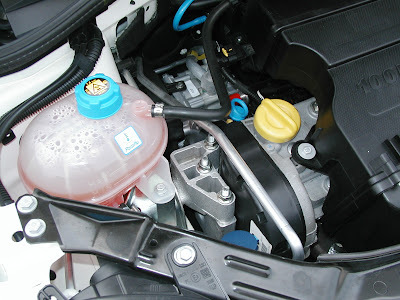 On the left, with the light blue cap, is the coolant reservoir, below with the dark blue cap is the windshield fluid reservoir. 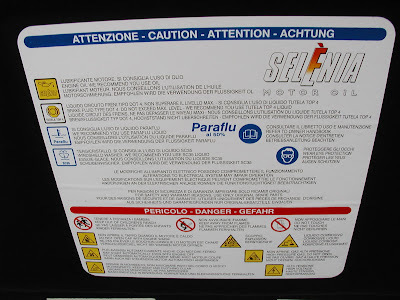 The fluids and oils recommended for use in the Fiat 500. Remember, this is the European version, so many of the names will not look familiar to folks in the US. The motor oil recommended for use in the 500 is a synthetic 5W-40 with typically European high oil drain intervals (30,000 km or about 18,600 miles). Oils suitable for the 500 and available in the US will have to be evaluated, just one of the many hurdles needed to be cleared before the 500 is sold in the US. 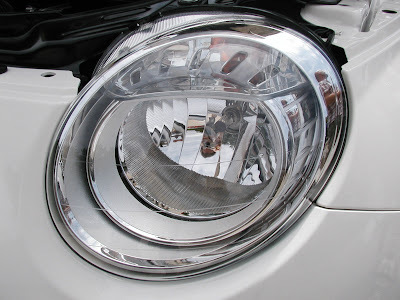 The headlight of the Fiat 500, produced by Magneti Marelli, is jewel like. It is an impressive design, featuring an H7 low beam bulb and the turn signal bulb. Again, these must be evaluated and certified by the Department of Transportation (DOT) before the 500 is sold in the US. 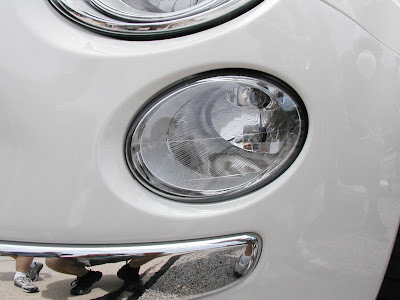 Another high style item, this lamp is the high beam headlight of the Fiat 500. The high beam bulb is an H1 style bulb. This lamp also contains the daytime running/parking light bulb. The foglight of the Fiat 500 features an H1 bulb. Notice how the foglight housing projects just a little out of the lower grille. That's a detail you don't really notice until you see the car in person. Keep an eye out for more photos I'll post here under the link " Test Car Photos". Fiat's MultiJet II engine technology...Hopefully coming to Chrysler. 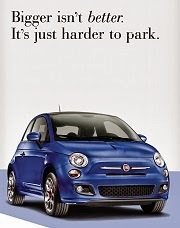 Fiat is a leader in Diesel engine technology. Fiat invented the revolutionary Common Rail diesel technology for passenger cars. Now Fiat is introducing MultiJet II...diesel technology that promises to make an impact as large as Common Rail did in 1997. In 1997, Fiat introduced the Common Rail (called JTD or UniJet Turbo Diesel by Fiat) . By upping the fuel pressure, changing injection design and adding a pilot or pre-injection of fuel, Common Rail changed diesel engines forever. 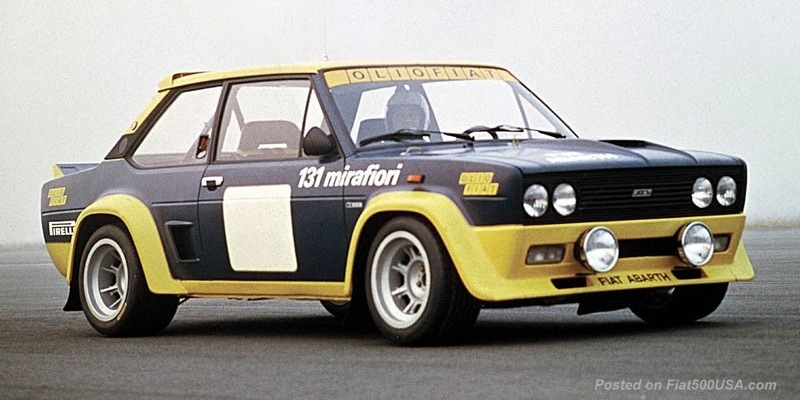 This pre-injection of fuel allowed Fiat to tame the characteristics of diesel engines, which, up to then, where known for noisiness, smokiness, poor response and low horsepower output. All at once, out went these "uncivilized" manors and in came a new degree of smoothness, quietness and power. As a result, diesel sales of passenger cars in Europe went up from 15% to 50%. In 2003, Fiat upgraded the Common Rail (JTD) to MultiJet technology. This advancement brought the number of pre-injections to a total of 5 and ushered in even more refinement and performance. 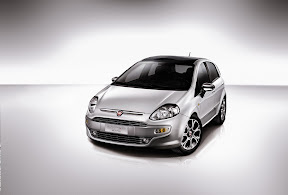 Fiat combined MultiJet, turbocharging and a 1.3L diesel engine and came up with a jewel that went on to win the 2005 "International Engine of the Year Award". Previously, the expression "fun to drive" and "1.3L diesel" were never used in the same sentence. 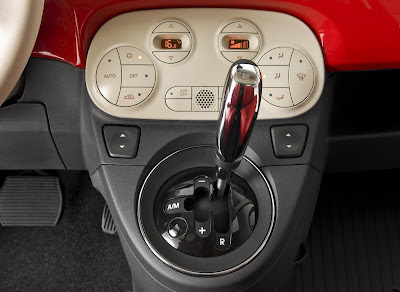 This is one of the optional engines available in the Fiat 500. 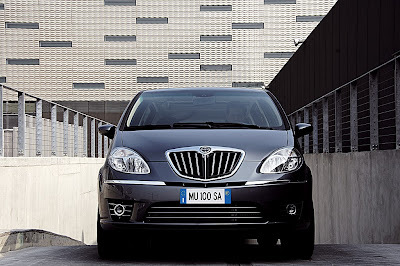 Now, in 2009, Fiat does it again, with MultiJet II. This is the ultimate evolution of its Commom Rail technology. The highlight of this technology is pre-injections are now at up to 8 injections per cycle, bringing refinement to an all time high. 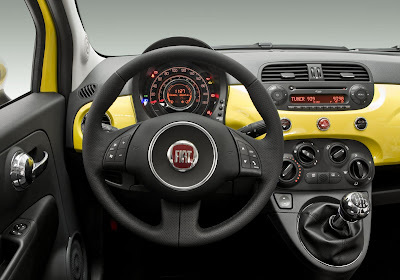 The added pre-injections of fuel let the Fiat engineers precisely tune the engine for many variables... noise, vibration, harshness, fuel economy, power and emissions are all improved. Additionally, the MultiJet II injectors have been simplified, made more efficient, responsive and also easier to manufacture. 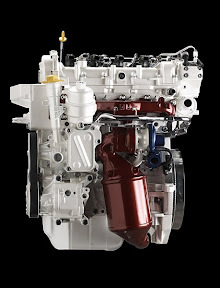 MultiJet II plays up all the advantages of a diesel (fuel economy, relative simplicity and good torque) and lends itself especially well to small displacement engines. The MultiJet II breakthrough is even more significant because of the time it is being introduced. Interest in fuel economy is at an all time high and, now with the ability to precisely meter the fuel in a way that previously was impossible, makes a small displacement diesel engine very attractive. When Fiat brings MultiJet to America, it promises to make Chrysler a leader in diesel technology. No one in the the US is currently utilizing small displacement diesel technology and this would help Chrysler stand out from the crowd. A high output, fun to drive turbo diesel car, with none of the negative characteristics of diesels of old, would be an attractive alternative to people looking at a hybrid-electric car. Diesel technology, even if it is advanced, is still a relatively simple, known technology and is more familiar to people resistant to unfamiliar, complicated hybrid-electric technology. We'll see how MultiJet II fits into Chrysler's five year plan when they announce its details on November 4th. 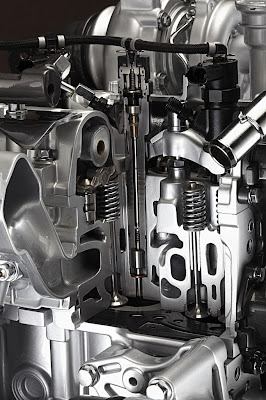 All Fiat Punto Evo diesel engines are equipped with the next-generation MultiJet II Common Rail injection system. This highly advanced solution can control high engine pressures (up to 1600bar) without being tied to engine speed or the quantity of fuel injected. In the 1.3 MultiJet II Euro 5 versions, the system uses innovative common rail injectors that, thanks to a balanced hydraulic servo-valve, are able to more precisely control the quantity of diesel injected into the combustion chamber, with a faster and more flexible sequence of injections than was previously possible. By reducing the amount of time between injections, these injectors optimize fuel introduction to the chamber and therefore make the diesel combustion process more gradual, with positive effects for consumption, emissions, NVH and handling. In fact, the new common rail injector on the Euro 5 engines cuts consumption and CO2 on the approved cycle by around 2%, while at the same time reducing harmful emissions. The second-generation MultiJets are therefore the latest development in the Common Rail injection system which, after the JTD (1997) and MultiJet (2003) engines, gives the Fiat Group yet another first in this field. The 1.3 MultiJet is available in Euro 4 (75 and 90 hp) and Euro 5 (75 and 95 hp) versions, the latter coming with a particulate filter and Start&Stop as standard. In addition, turbo is carried out either by a fixed geometry turbocharger (75 hp) or a variable geometry turbocharger (90 and 95 hp). The Euro 5 versions have next-generation turbochargers that, combined with the new second-generation MultiJet II injection system, ensure the best possible turbo function at any engine operating level, with torque delivery at low revs up to 25 per cent higher than on Euro 4 versions. The performance levels of the 95 hp second-generation 1.3 MultiJet (Euro 5) are well worth a mention: top speed of 178 km/h, 0-100 km/h in 11.7 seconds, consumption of 4.2 l/100 km and 110 g/km of CO2 emissions (in the combined cycle). When combined with the Dualogic gearbox, consumption falls to 4.1 l/100 km and emissions to 107 g/km. Finally, the Punto Evo range retains the brilliant 120 hp 1.6 MultiJet Euro 5 with DPF from the previous model. With this engine, the car can reach a top speed of 193 km/h (Sport version) and go from 0-100 km/h in 9.6 seconds. Excellent performance also comes with reduced consumption and emissions: in the combined cycle, these figures are 4.5 l/100 km and 119 g/km of CO2 respectively. 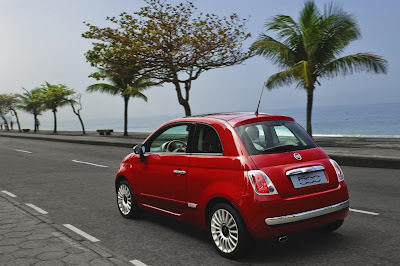 Fiat has officially announced the 500 will go on sale in Brazil. 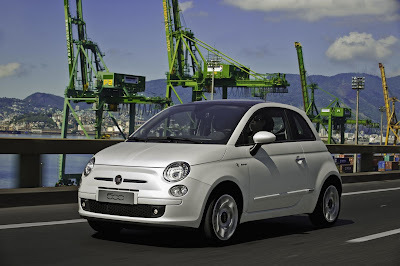 The interesting development, as it relates to us in the US, is that the Fiat 500 is already sold in a host of South American countries (cars are currently being imported from Europe assembled), and now that you add Brazil and the four other countries listed below, it pretty much confirms that the 500 will have to be built in Mexico. 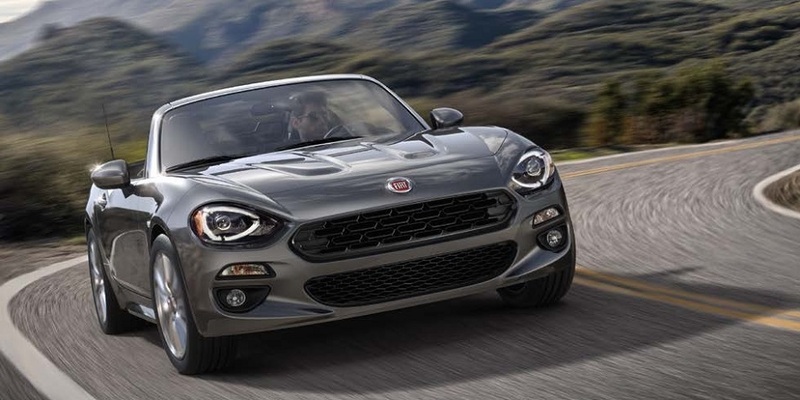 We'll have to wait for the official Fiat announcement, currently slated for November 4, to find out for sure. But remember, the US government and the UAW are involved and they naturally would want the 500 built here in the US, so be prepared for anything. Looks like November will be an exciting month. 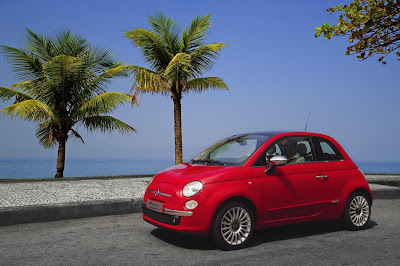 Below is the official Fiat press release and some pictures of the beautiful Brazilian country. 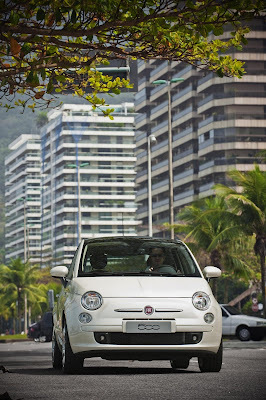 The Fiat 500 is due to go on sale at the beginning of October in Brazil and was introduced to the national press today in Rio de Janeiro. The car will also be launched during the same period in Colombia, Barbados and Panama - and presented in Jamaica before the end of 2009. Not to mention the fact that the new Fiat car is already present in Argentina, Chile, Curaçao, Costa Rica, Guatemala, Mexico, Peru, the Dominican Republic, Sain Martin and Paraguay. 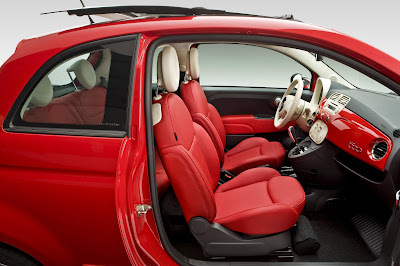 The Fiat 500 marketed in Brazil is available in Sport and Lounge outfits, powered by a lively 100 hp 1.4 16v engine teamed with a manual 6-speed gearbox or a 5-speed Dualogic gearbox (robotized, sequential). The power unit and suspension have been adapted to local market needs: the injection system has been re-calibrated to adjust to the 22% of ethanol present in the petrol sold in Brazil. Certain components in direct contact with this specific fuel have also been changed. The suspension has also been revised for the Brazilian roads by increasing the flexibility of the springs and the shock absorber travel. The Brazilian edition of the car, already awarded the prestigious EuroNCAP 5-star ranking, will offer 7 airbags as standard (two front airbags, two window bags, two sidebags and one knee bag) plus state-of-the-art hi-tech active safety features: ABS with electronic brake distribution (EBD), the sophisticated electronic stability program (ESP), an anti slip regulation (ASR) system, a Hill Holder to help the driver with hill starts - and hydraulic brake assistance (HBA) to help with emergency stops. 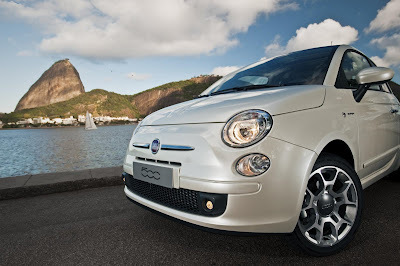 The Fiat 500 model is an authentic Italian style icon that has won the hearts of the international public and critics alike, as confirmed by more than 390,000 orders collected to date around the world and more than 40 international awards. Legendary Italian tuner and race team owner Romeo Ferraris announced the production of a special 260 bhp Fiat 500 Abarth dubbed the "500 Monza". Ferraris is renown for producing winning race cars for more than 40 years. His expertise encompasses a wide range of makes such as BMW, Ford, Alfa Romeo, Ferrari, Renault and of course Fiat and Abarth. 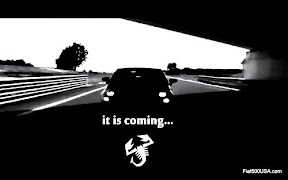 Now he turns his attention to the Fiat 500 Abarth and takes its tuning to the extreme. 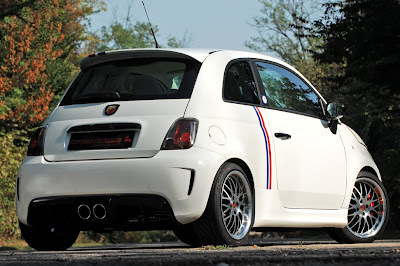 A Fiat 500 Abarth with 260 bhp, all I can say is... "yes, please!". Realized only in 10 examples to celebrate the 50th anniversary of Romeo Ferraris, the 500 “Monza” represents the apex of a road preparation. 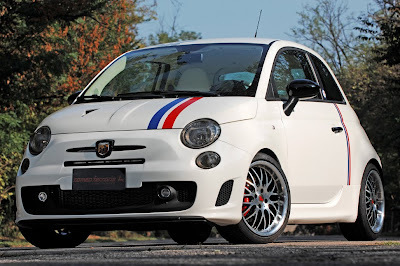 The “starting point” is a 500 Abarth, that was mechanically revised in order to reach an incredible power of 260 bhp, and equipped with a new aerodynamic kit and brand new interiors, made of fine leather and Alcantara, with the colors of the famous Italian racing circuit. The main color of its livery is Icy White, but we can find the official colors of Autodromo Nazionale Monza on the two red and blue stripes on the hood and on the back side of the car. Right in the center of the side stripes stands out the aluminum badge of the Italian speed temple that underlines the exclusivity of this car, equipped also with dark light frames and lucid black mirror's shell and door handles. To increase the fresh air intake to the spicy engine, Romeo Ferraris decided to put a Naca type intake on the hood, derived from the Trofeo versions. Under the front bumper Romeo Ferraris chose to insert a carbon fiber blade, while on the rear we can find a unique rear diffuser which encloses the central exhaust system (road legal) of the race factory. 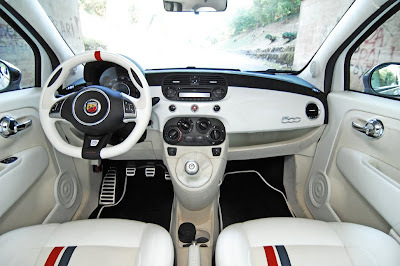 First quality leather and white Alcantara dominate the “Monza's” interiors, used to upholster every single part of the cabin, from the brand new sport seats to the interior roof: the original plastic is just a weak memory. The blue and red stripes show up also on the interior on the backrest of the seats, with the Monza logo embroidered on them. The uniqueness of every exemplary is emphasized by a brass plate with the name of the owner on it. The owner will also get all the authenticity certificates and the serial number, marked also on the gear knob of the car. For the demanding customers. Romeo Ferraris developed, together with Aznom (http://www.aznom.it/) a special luggage set in leather and a driving suit. Design, Technology and attention to the details are the primary elements of Aznom philosophy, chosen by Romeo Ferraris as a technical partner for his special version. A car that stands out for its sportivity, without renouncing to comfort and exclusivity thanks to the choice of precious materials. The best part of this car is the engine. The hp under the hood are two times the original ones, 135 vs 260. Romeo Ferraris was able to get this fantastic result thanks to a new turbocharger and a complete exhaust system, from downpipe to muffler. The power of 500 Monza is transmitted to the ground by a new gearbox with 6 sequential gears , which guarantees gear changes as fast as race cars and an enviable precision. Since there is so much power and torque at the driver's disposition, a limited slip differential, calibrated on Romeo Ferraris specifications was installed too, in order to make the car completely enjoyable and safe to drive SUSPENSIONS AND BRAKES More horsepower needs powerful brakes, that's an “always true sentence” that Romeo Ferraris chose to respect. Brembo brakes with 280mm discs and 4 piston calipers were the answer of the Opera Factory. Now 500 Monza can run an intense day on track without any fading, and stop safely in any condition. The best performance is achieved thanks to a new suspension set, made of racing components, that guarantee a phenomenal balance and fun, without however penalizing the comfort on the daily use. The production tires have been replaced by 205/40 r17 Yokohama Parada (tecnical partner of Romeo Ferraris) mounted on specified Romeo Ferraris wheels. TEST DRIVE For a road or track test drive feel free to contact our Press Office. We will arrange the test for you. Chrysler has announced a few changes in their organization as they approach a scheduled November announcement when they will unveil their next 5 year strategy. First is they will break the trucks out of their Dodge brand, leaving a separate Dodge Ram Brand that specialize in trucks and a Dodge Car Brand that specialize in cars. 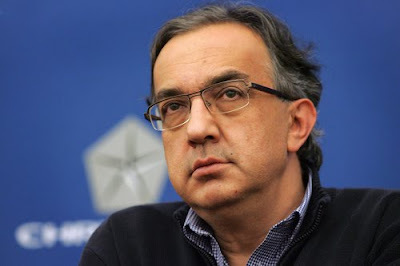 Sergio Marchionne has mentioned he would like the Dodge Car Brand to move toward being known for outstanding driving dynamics and away from brute force muscle. This makes sense as Dodge will share some upcoming platforms with future Fiat/Alfa Romeo models, cars known for having outstanding driving characteristics. This change also offers a broader targeted audience as more people are interested in how a car drives in day to day life as opposed to outright horsepower (and the negative impact on fuel efficiency that sometimes entails). The other changes are personnel changes, however, the big change is Peter Fong is stepping down from being head of the Chrysler Brand and being replaced by Olivier Francois, head of Fiat's prestigious Lancia Brand. All these changes are setting the stage for Chrysler's mid November announcement that promises to be quite exciting. Chrysler Group LLC today announces brand and commercial organization changes. “The brand-focused strategy has been refined further with the unbundling of the Dodge Brand which now consists of the Dodge Ram Brand and the Dodge Car Brand organizations. This reorganization will allow us to protect and develop the unique nature of the product offerings within the Dodge Brand,” Mr. Sergio Marchionne, Chief Executive Officer, Chrysler Group LLC said. Fred Diaz Jr. is appointed President and CEO, Dodge Ram Brand with profit and loss responsibility for the Dodge Ram product portfolio. 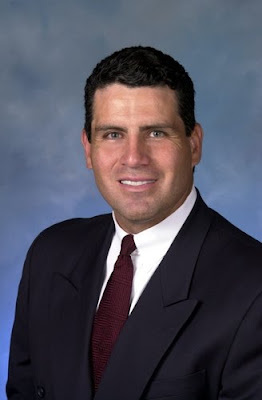 Mr. Diaz will also be the lead executive for the Sales organization in the United States. He was previously the Director of the Denver Business Center. Mr. Diaz has been with the Company since 1989 in positions of increasing responsibility. The Company will announce Mr. Diaz’s replacement with a separate announcement. 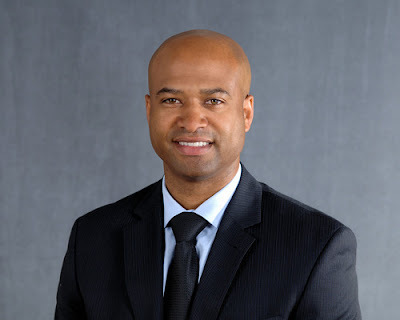 Ralph Gilles is appointed President and CEO, Dodge Car Brand with profit and loss responsibility for the Dodge Car product portfolio. 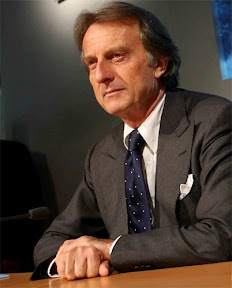 Mr. Gilles will continue to lead the Product Design organization of Chrysler Group which he joined in 1992. 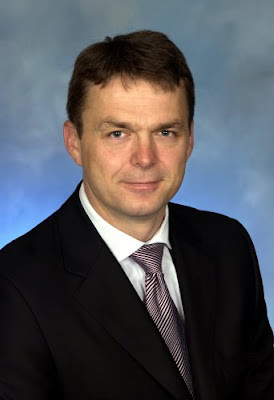 Olivier Francois is appointed President and CEO, Chrysler Brand, with profit and loss responsibility for the Chrysler product portfolio. 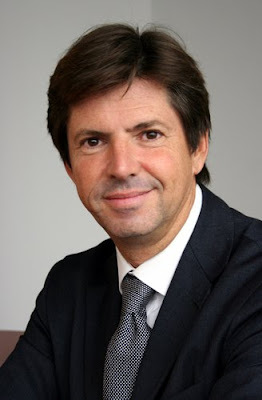 Mr. Francois joins the Company from Fiat Group Automobiles where he serves as head of the Lancia Brand, a position he retains. Mr. Francois will also be the lead executive for the Marketing organization with responsibility to coordinate worldwide marketing strategies, brand development and advertising for the Chrysler, Jeep®, Dodge Car and Dodge Ram brands. 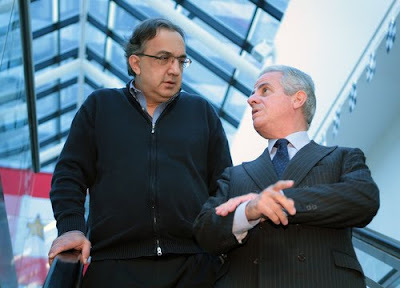 He will continue to lead these functions within Fiat Group Automobiles. 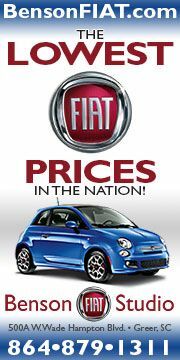 Mr. Francois joined Fiat in 2005. Michael Manley will continue as the President and CEO, Jeep Brand with profit and loss responsibility for the Jeep Brand product portfolio. 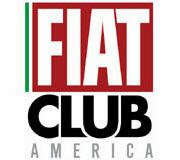 Mr. Manley will also be the lead executive for the international activities of the Company outside of NAFTA and will be responsible for implementing the co-operation agreements for distribution of Chrysler Group products through Fiat’s international distribution network. Mr. Manley has been with Chrysler since 1998. Joseph Veltri joins the Management Team as Head of Product Planning. 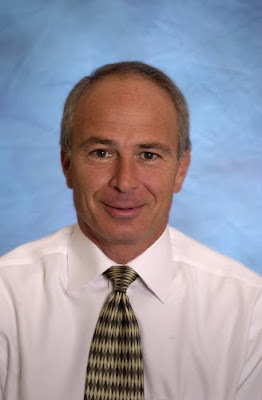 Mr. Veltri started with the Company in 1988. His career has included positions in product planning, marketing, business strategy, and finance. He served most recently as Product Planning Lead and Head of Truck/SUV Planning. Peter Fong, head of the Chrysler Brand has resigned for personal reasons. Michael Accavitti, head of the Dodge Brand has resigned to pursue other interests. Here is a video of Chrysler Group LLC CEO Sergio Marchionne commenting on September 2009 sales. The clip was taken October 1st during a brief photo op with visiting Italian Economic Development Minister Claudio Scajora at Chrysler Group LLC World Headquarters. "On the issue of Chrysler I think that one of the things you need to be absolutely careful about is that when you start looking at market share data, for any of the automotive producers in the U.S., there are a number of things that have impacted on market share, volumes in the month of September. We have just come off a substantial inducement to consumption that was associated with the Cash for Clunkers program, and that in and by itself is a disturbance that, at least from Chrysler’s standpoint, one, was unexpected and was announced at a time in which our industrial machine was just about ready to get started up and running. Effectively, most of our plants had been out for a substantial part of the spring and part of the summer; and the machines had not come back on until the end of July. Secondly, this process that we’re going through, and we have been through this on the Fiat side. When I arrived in 2004 we had to go through the same type of painful process of watching market share decline as we cleaned up our commercial practices in the field. And so a lot of the inducements that were being offered in the marketplace by American car manufacturers are beginning to disappear. So the heavy incentive checks that one could find in most dealers are no longer available, the discipline required to maintain pricing in order to stay profitable in the car making business, the benefits of that philosophy are beginning to work their way through, we are not the only ones that are adopting this structure ourselves, General Motors has become a lot more disciplined on this than we have been. That is bound initially to cause a contraction of the position because your starting point was exaggerated and so you need to work through this process of cleansing; it’s painful it looks ugly, people sit back and say ‘what are you going to do to try and incentivize the demand, the real issue is that we need to go back to making products that people want at a price that is accessible and defensible in a competitive framework. All the work that has gone on here since we came in on June 10 has been geared at providing the framework to effectively drive volume over the medium to long term. September is not an indication of future performance, I’m not apologizing for it, it is the consequence of a number of actions that were taken in the past, all of which have culminated in the month of September – you may see similar numbers in October, I don’t know. Our intention is to improve share from this point on, but I don’t get alarmed. The machine is timed, we’re not bleeding as people think we are, the level of cost consciousness at this house is probably at a historical high, the real important issue is to try and build a future. And I would just ask you to wait until November and you can see it. The future is a lot a lot better than the market share in September would indicate."